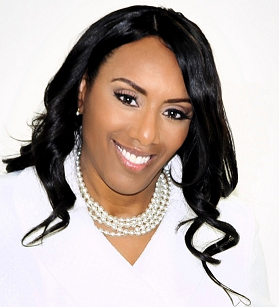 Laurie Sayles Artis, President, and CEO of Civility Management Solutions is a native of Chicago, IL. Laurie modeled professionally during her High School years and went on to join the United States Marine Corps (USMC) serving ten years. She earned the rank of a Staff Sergeant (E6) before ending her military career. Her Military Occupational Specialty (MOS) was Maintenance Management; as she managed the daily equipment readiness of the battalion. Laurie trained and mentored Marines in the meticulous daily processes that would ultimately inform the Commanding Officer of their battalion’s mission readiness, which was to never fall beneath 98 percent. Laurie uses the following quote to describe her motivation during that tenure as “if trucks don’t move, guns don’t shoot, and tents have holes in them … Marines cannot function efficiently.” The training she received from the USMC taught her to reach for excellence by operating in order, diligence, and integrity 110% of the time. Laurie has a cumulative 20+ years experience within the nonprofit, private, and public (as a contractor) sector. A proven leader she possesses multiple years of management in office personnel, procedures, conferences and budgets. As a contractor within the Federal Government, she revealed her consulting expertise in Standard Operating Procedures (SOPs), logistics, event planning, human resources, and program/project management. Her Subject Matter Expert (SME) knowledge landed her a position in a corporate office of a Woman Owned Small Business where she managed upwards of 120 staff nationally, 10 contracts within the government and private sector amounting up to $11.5 million. Laurie obtained her Bachelor’s degree in Social Science with a minor in Strategic Management and Entrepreneurship from the University of Maryland University College (UMUC). She also received a Business Project Management Certification from UMUC and is a member of the Project Management Institute (PMI), Women Impacting Public Policy (WIPP), Women Marines Association (WMA), National Veteran-Owned Business Association (NaVOBA), and the National Marine Corps Business Network (NMCBN) to name a few. Laurie’s desire to continually grow has resulted in acceptance into UMUC’s Graduate program where she will pursue a dual degree in Business Administration and IT Management. While serving as the Chair of her High School Class Reunion Committee; she also serves as the Director of Veterans Ministry with SOFCC church; and was elected as the first woman officer on the VET-Force Committee, which advocates on the United States House and Senate, to include Federal Government on matters of Veteran-Owned Businesses.